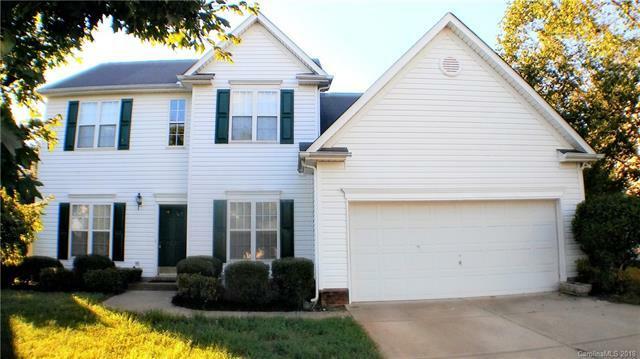 This home has a large MSTR down, W/in closet & MSTR bath with garden tub. NEW laminate wood floors on entire main floor & NEW carpet on entire upper floor. Some NEW paint, NEW kitchen counter top with island (REFRIGERATOR included), vaulted living room with ceiling fan, surround sound & fireplace. Duel a/c temperature controls with 2 a/c units (1 BRAND NEW unit just installed for the main floor). Alarm system and more. BACK ON THE MARKET...Buyer fell through. ONE YEAR HOME WARRANTY & seller concession for some NEW PAINT will be given with acceptable offer.